Will consolidation be coming to my community anytime soon? Not likely. Intergovernmental collaboration between local governments is extremely common, all across Michigan, but it usually happens in the limited form of jointly providing specific services, such as public safety, water and sewer, parks and recreation, and so on. Full consolidations of previously separate local governments are rare and take a long time to plan and implement, whether done by disincorporating a village -- the approach being considered in the Onekama case -- or by other mechanisms. The local government fiscal crisis has certainly pushed jurisdictions to look for potential cost savings through collaboration, but it seems quite unlikely that we will see a significant wave of complete consolidations soon. According to the U-M Ford School’s Michigan Public Policy Survey, as of 2010, more than 72 percent of Michigan’s local governments were participating in some kind of formal collaborative effort with another jurisdiction (and this increased to 92 percent among the state’s larger communities). Michigan’s local leaders were pleased with these efforts: 81 percent said their collaborative programs had been generally successful and only 2 percent said they had been unsuccessful. And 44 percent thought they should be doing even more collaboration (including 85 percent of leaders from the state’s largest jurisdictions). But while most of the action will likely continue to be in more limited collaboration efforts, that is not to say there will be no movement on the full consolidation front. The MPPS survey found that while 63 percent of local leaders would oppose full consolidation of their government with another jurisdiction, 25 percent would support such a move. The ambitious "One Kent" effort to reduce the number of individual jurisdictions in Grand Rapids through full mergers faltered. It was replaced with an effort to consider a wider set of collaborative opportunities. This isn’t surprising. Even when considering limited cooperation, the hurdles are numerous. Among the most difficult are community identity, loss of control, lack of trust, differing goals, and increased "start-up" costs required to launch new collaborative efforts. And beyond those common difficulties, full consolidations can raise numerous additional hurdles: How will the debt obligations of one jurisdiction be transferred to the new entity? Will new services (and their costs) be introduced to a group of residents who may have previously chosen to live in a community with fewer services and lower taxes? How will differing compensation rates and retirement packages for public employees in the separate units be handled in a newly combined one? From a distance, it appears the Onekama process has been handled well. The citizens and local leaders have done their due diligence. 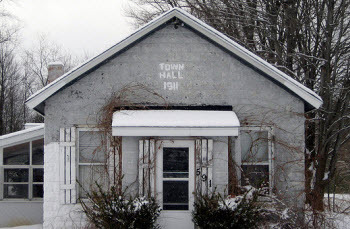 Rather than a rushed, quick vote, they took a deliberative approach of establishing a "disincorporation commission with equal representation from the village and the township to more fully investigate and report. By relying on the Citizens Research Council of Michigan for further assistance, the stakeholders brought in a credible and highly respected independent voice to aid their review. In addition, the state government provided valuable assistance in the form of grant funding to help defray the costs. We are in an era of significant change in local government, driven largely by the fiscal squeeze. I suspect there will be some increased level of interest among other communities for exploring full consolidations, particularly if the Onekama consolidation is approved by the voters.